While expungement is still available to those seeking to completely remove certain offenses from their record, Pennsylvania now has a new and broader law that provides for the sealing of eligible criminal records. The state’s “Clean Slate Law” went into effect in December. The law allows residents of Pennsylvania with non-violent misdemeanor records to have those records sealed if they have stayed out of trouble for 10 years and paid all fine. Sealing will occur automatically between June of this year and June of next year for some cases. In other situations, a petition must be filed with the court. Dischell Bartle Dooley attorneys can assist with the filing of a petition before automatic sealing starts. Our attorneys can also help you with a petition to have a criminal record expunged. Why is it a good idea to seal your record? Criminal records are widely used on a day-to-day basis, for example, by employers seeking to hire or landlords making a determination of which tenant they would like in their property. Sealing your record gives you an opportunity to move forward from past mistakes. If you are interested in sealing or expunging a record, call our attorneys at 215-362-2474 or click here to email our office. 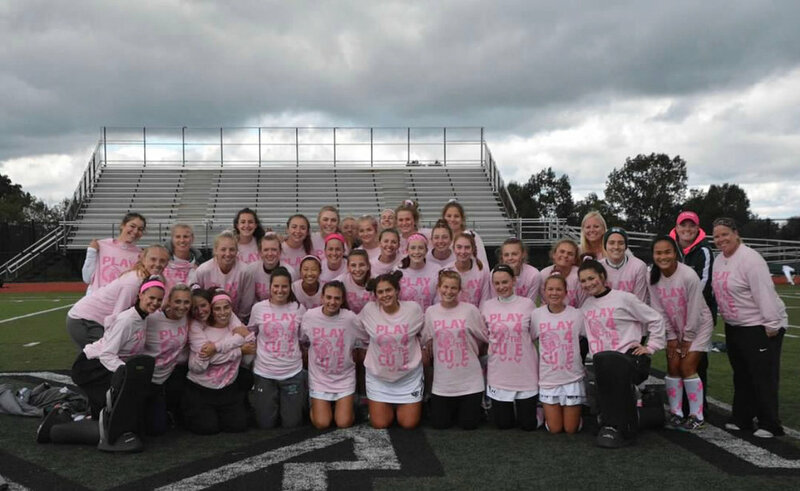 DBD is a proud sponsor of the Methacton Field Hockey Team, who participated in the annual Play 4 the Cure Game on Saturday, October 13, 2018. With the help of DBD, the team surpassed their goal of raising $2,800 by $1,700! Congratulations to everyone who participated in this worthwhile event. On Saturday, October 13, 2018, DBD partner, Liz Billies and her team, the Running Objections, participated in the Chester County Light the Night Walk to support the Leukemia and Lymphoma Society. The one mile walk, which took place at Wilson Park Farm benefited the Leukemia endeavors to raise research dollars to find cures for Leukemia and other blood cancers. Liz’s team raised approximately $1,000.00 towards this worthwhile cause. The American Institute of Legal Counsel has named Dischell Bartle Dooley one of Pennsylvania’s 10 best law firms for client satisfaction for estate planning. To receive the recognition, firms must be nominated by clients, a fellow attorney or the Institute and have an impeccable client satisfaction rating. The wills, trusts and estate team at Dischell Bartle Dooley has been assisting individuals and families with all aspects of estate planning for more than 40 years. The wills, trusts and estates practice, which is led by Dischell Bartle Dooley partner Jack Dooley, favors a straightforward approach to estate planning.